We have a Contest Winner! I must say I had great fun with the WHAT ARE THE 9 HERBS? contest. I’ve posted all the comments/entries on the original webpage post, so you can go back there to see what everyone said. I did receive additional entries via email…from the folks who covertly peruse social media sites but don’t dare make a comment online. You know who you are, you people that are in hiding out there! 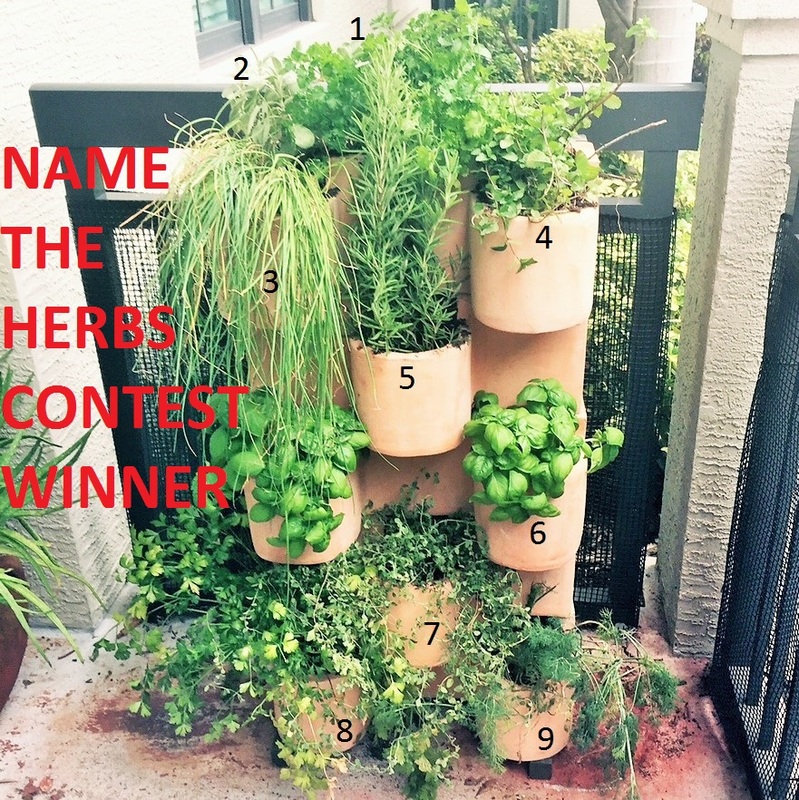 No one guessed all nine herbs correctly but a couple of people came very close so I am calling it a tie and am giving them both plant presents. And the two winners are…. Ryan (@ryanelberson) and Julia (travellingbanana.com)! Ryan got the most right: 7 out of 9. Yay Ryan! He didn’t exactly follow directions; he posted the answers on Instagram rather than on the website, as requested, but that’s okay. Instagramers aren’t known for their propensity to follow directions, so he’s forgiven. Julia guessed 6 correctly. There were a number of other people who guessed 6 properly but she was the first. Julia’s originally from the UK and is currently residing in the same area code as me, so she gets her present hand-delivered if she wishes! Ryan, I’ll track down in Instagramland. Thanks to everyone who entered and those of you who cheered the rest of us on.